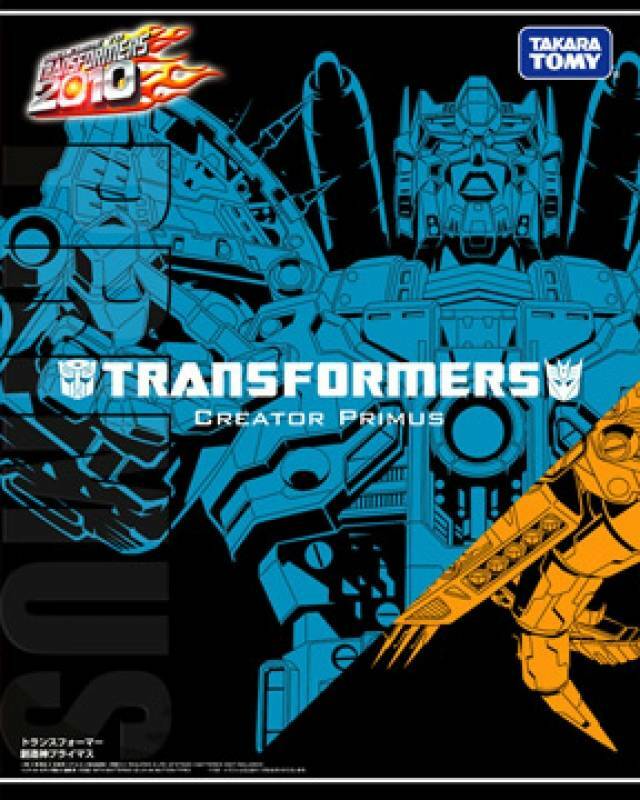 Primus is the creator god of the Transformers. He is as old as the universe itself, and is in strong opposition to Unicron, the destroyer of the universe. 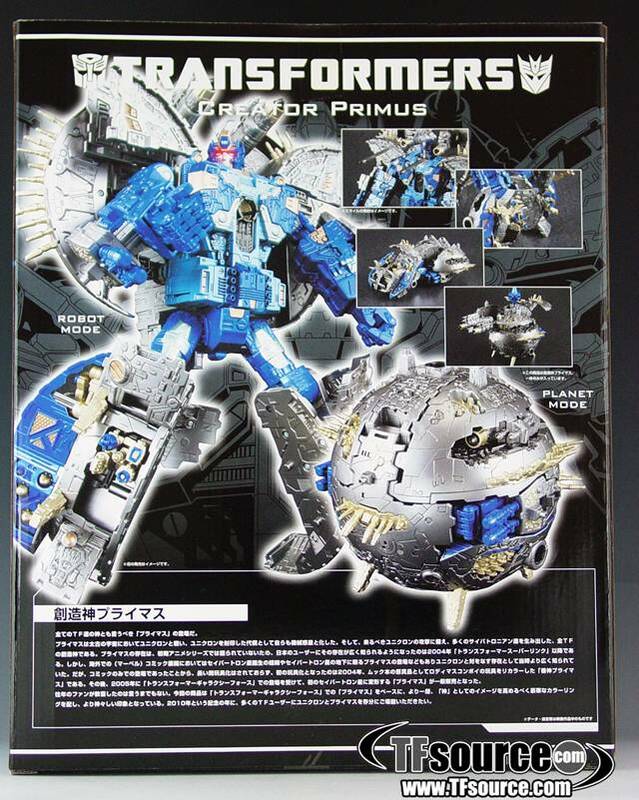 Now you can own this great Takara Tomy 2010 remake of the Primus figure. This new remake looks to have a more metallic look to it. 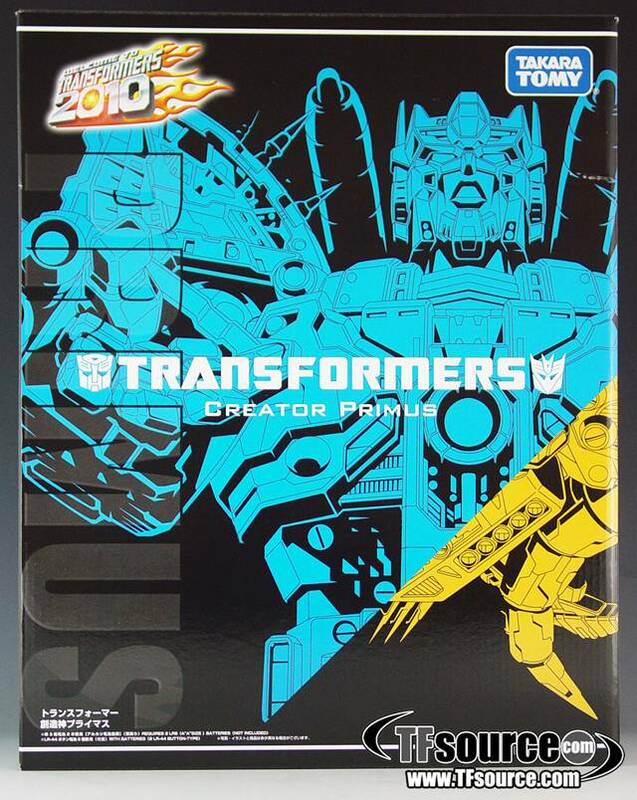 I've never owned a primus before so now that I was able to obtain this one it completes a certain area of my collection. Its everything I expected with the only down side of the silver shiny surface is that its not silver its more of a gray color. HOWEVER! In the light it can sort of appear silver if you look at it the right way. All and all its really amazing due to the little details of the little creases on the surface of the planet mode and even the robot mode has some pretty cool paint apps on it. Loving this figure. =3 I recommend!